Elite Roofing, a rapidly expanding Denver-based roofing company, proudly announces the acquisition of CJ Roofing. This is a move that will help us better serve our existing customers while expanding our collective reach into new markets. Elite Roofing, a leading Denver-based roofing company, proudly announces the acquisition of CJ Roofing. With more than 48 years of collective experience, these two leading Denver roofing companies are positioned to corner the market throughout the state of Colorado and beyond. 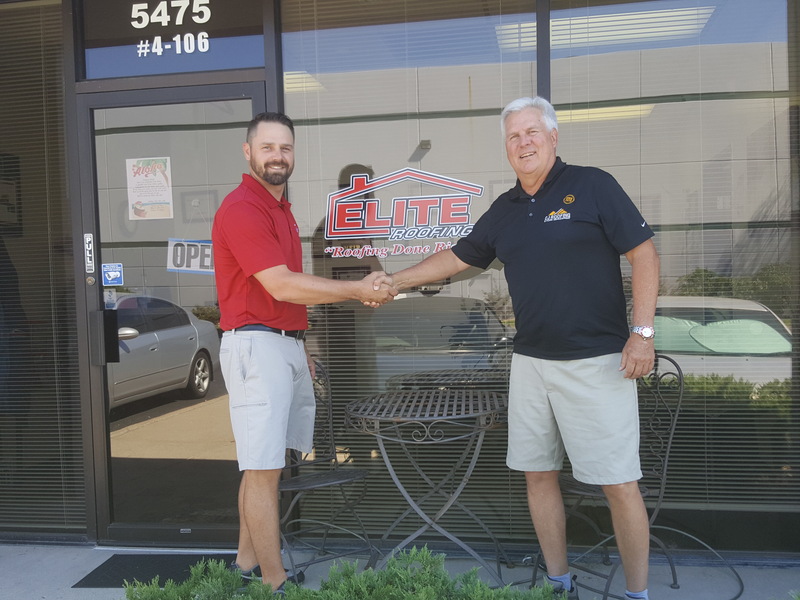 "We could not be more excited to welcome CJ Roofing into the Elite Roofing family,” said Randy Brothers, CEO of Elite Roofing. “By combining the strengths of both companies we will be able to provide a top level roofing experience in all facets of roofing; hail damage replacement, service repairs and commercial." Established in 2006, Elite Roofing is one of Colorado’s fastest growing roofing companies. Offering a myriad of services including roof replacements, new construction and roofing repairs for commercial and residential roofs; Elite offers ‘Roofing Done Right.’ As the area’s premiere provider of superior roofing services, Elite has earned the distinction of a BBB A+ Rating and an almost five star rating on Google Reviews. To learn more about Elite Roofing visit them online at http://elite-roofs.com/ or call (303) 296-0361. CJ Roofing began as a family owned and operated business in 1978 and continues to be locally owned and operated. CJ Roofing has grown into one of Denver’s premier roofing companies offering a complete catalog of roofing services. CJ Roofing is proud that it has achieved the highest contractor rating from each of Owens Corning, CertainTeed and GAF companies. The CJ Roofing team attributes their continued to success to their spirit of hard work, attention to customer’s needs and belief that all customers deserve a high quality roof at a fair price. As a result, CJ Roofing has earned the distinction of a BBB A+ Rating. To learn more about CJ Roofing visit them online at http://www.cjroofing.com or call (303) 394-2802. Randy Brothers, President of Elite Roofing with Bruce Lundy, President of CJ Roofing.